Coyote Peak Wildfire, May 2016. Update Tuesday (May 10) at 4 PM: The Coyote Fire is now at 8,205 acres and is 30% contained. 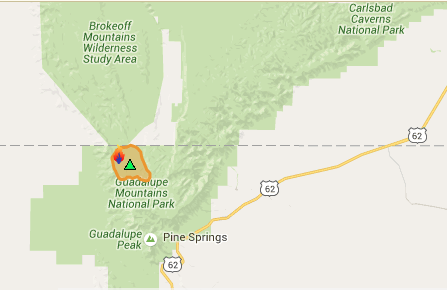 This entry was posted in KRTS News and tagged Guadalupe Mountains National Park, Wildfire. Bookmark the permalink.